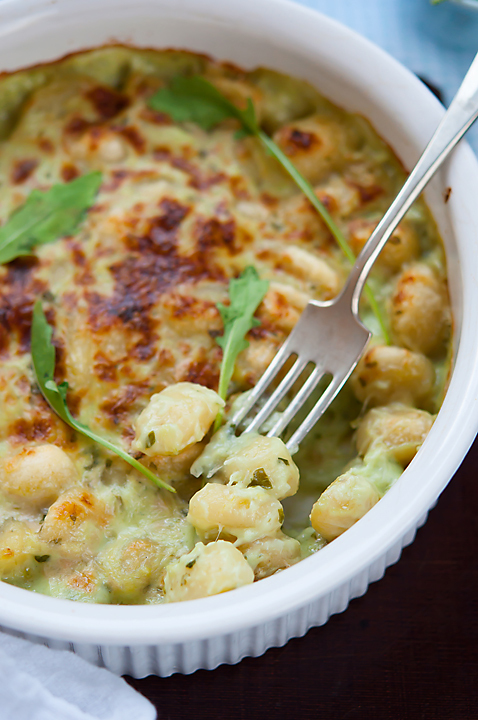 Eliminate the cheese and sour cream and add 1/2 cup pre-soaked cashew nuts and replace the water with soy or rice milk. You can use any type of vegan pasta available to you. 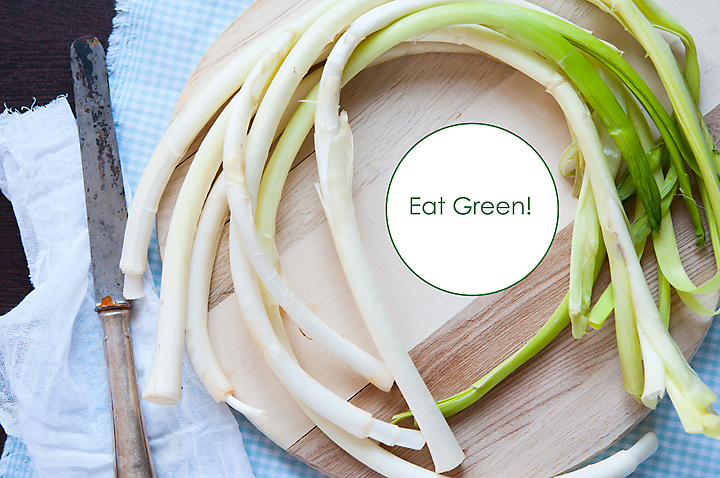 Wash and clean the leeks, slice and add them to a wide heated pan with the olive oil. Gently braze until they become soft and tender. Remove from stovetop. Grate the cheese into a deep bowl, then add the leek + oil, ruccola, garlic, sour cream, 2-3 tbs water and pepper and turn into a thick paste using an immersion blender. If need be, add more water, just enough to ensure that you can mix the ingredients into a thick paste. In the meantime, cook the pasta as instructed on the package. 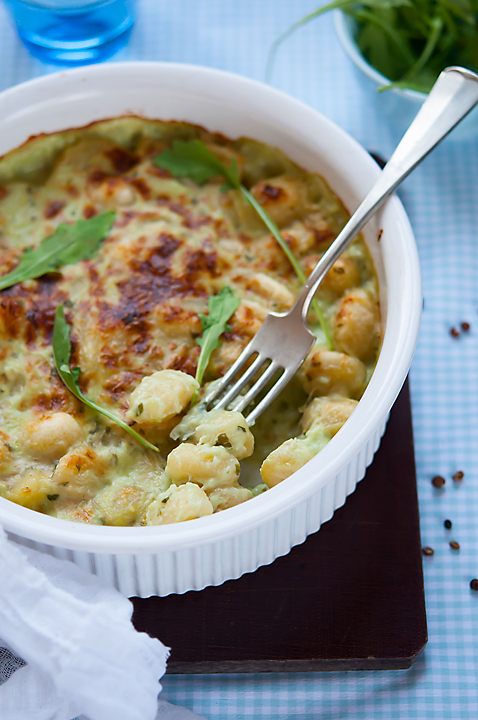 Drain the water, mix with half of the cheesy leek sauce and pour into a ramekin. The other half of the sauce you can freeze for later use. Bake in preheated oven (200 C, grill) until the surface starts to brown a little (7-10 minutes). Notes - If you prepare the vegan option, simply eliminate the dairy and grind 1/2 cashew nuts and add it to the mix. Also, replace water with vegan milk. I simply loved the result: the smell was amazing and the creaminess of the sauce was incredible, not to mention the strong taste. I do hope you will give it a try and let me know how you liked it! TO TRY > Beet burgers. Lush. Delicious. Irresistible.